Antec has introduced the Three Hundred Two, this updated edition of its mid-tower now includes USB 3.0 front ports wired to an internal motherboard header. The $79.95 MSRP seems a little high though, and the beige interior doesn't look to inspiring either. 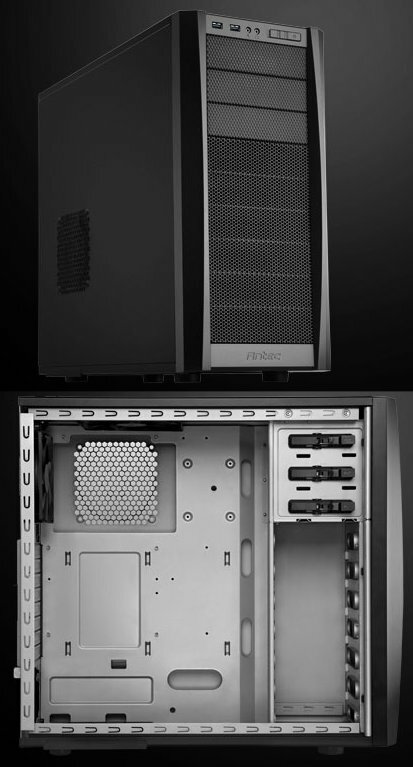 Antec Inc., the global leader in high-performance computer components, announces the Three Hundred Two enclosure, the latest addition to their Gaming Series. This sleek, black chassis is designed to handle today's and tomorrow's high-performance systems that are custom built for gamers from the inside-out. The Three Hundred Two enclosure is perfect for gamers, system integrators and casual builders alike because of its extensive cooling advantages and expandability. High Performance Cooling Advantages - The Three Hundred Two is built for maximum cooling thanks to its perforated front bezel, included dual TwoCool fans, and four optional fans, including a 120 mm CPU exhaust fan behind the motherboard, to ensure gamers can play beyond the long hours of the night. Extensive Compatibility and Expandability - The Three Hundred Two utilizes eight expansion slots for up to three 12.5" (318 mm) graphics cards for compatibility with the largest GPUs. Intelligent Design – This enclosure has removable, washable PSU and front intake air filters, along with a cable management system that features four strategically placed holes and 3 cm of space behind the motherboard tray. It's even easier for builders to start using their new PC right away thanks to the Three Hundred Two's three 5.25" and five 3.5" tool-less drive bays. "The Three Hundred Two is an excellent enclosure for those who want to build a reliable, long-lasting PC," said Mafalda Cogliani, Global Marketing Director for Antec. "The enclosure has great cooling and expandability options, making it the perfect choice for anyone looking to build a new and affordable gaming PC with high functionality and design." The Three Hundred Two is available now through our distributors and resellers such as ASI, D&h, INGRAM, TECH DATA, MA LABS, CANADA COMPUTERS, NEWEGG, SUPERCOM, NCIX, FRY’Swith a MSRP of $79.95.